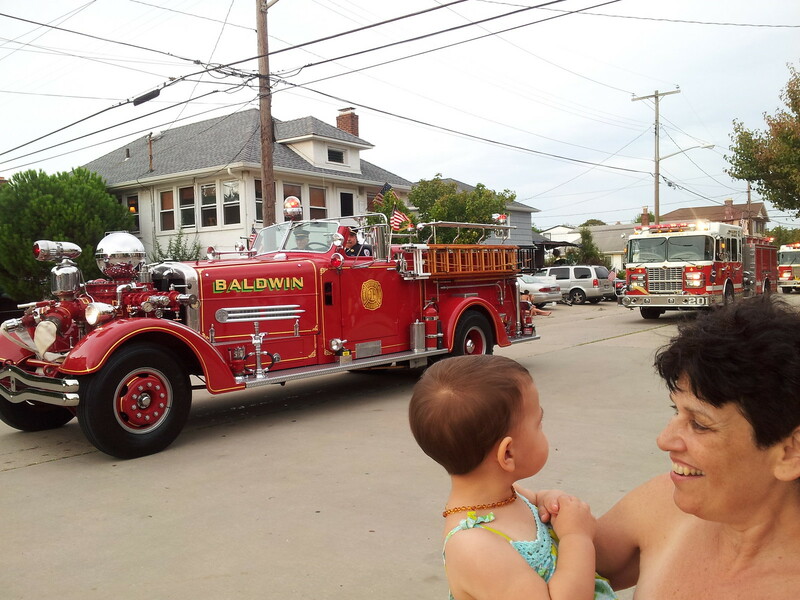 The Fire Department Parade that came through town yesterday evening was Abby's first parade experience. It was a small one, only lasting perhaps thirty minutes from start to finish, but it was joyful, and exciting, and a good time was had by all. 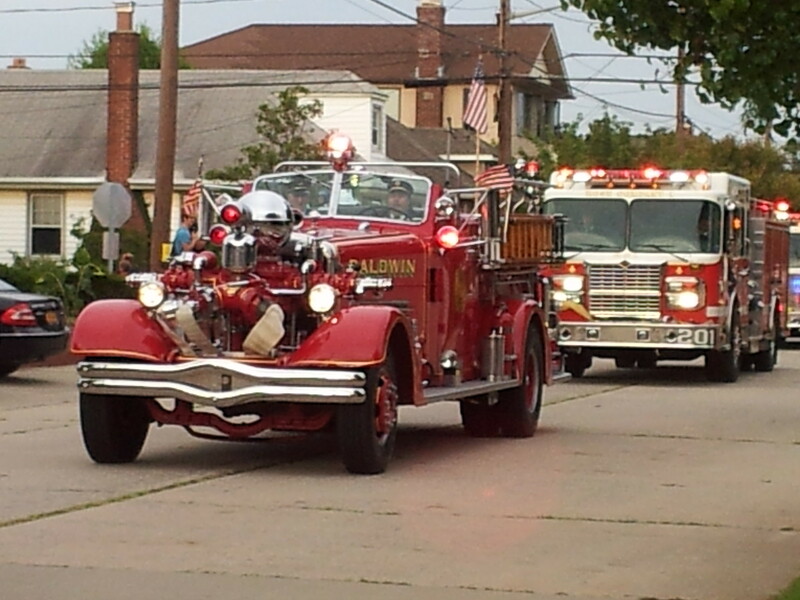 Tom took a bunch of pictures with his smartphone, but I'll just share a few, since most are of the various fire trucks that passed by. I thought that this one was the most interesting-looking one. And here's a shot that includes Abby and Great-Aunt Marcia. 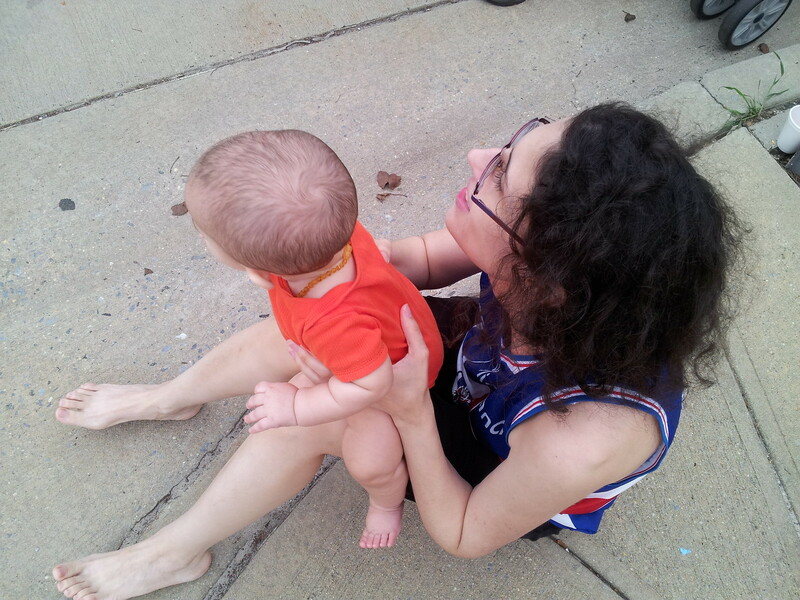 And one of Michael and me (with my crazy, frizzy, wind-dried hair) from our perch on the sidewalk. Somewhere, behind and to the right of me, is Abby's first sidewalk-chalk creation, that she jubilantly scratched out on the pavement when she discovered an abandoned piece of bright blue chalk. This proved to be a novel activity for her to engage in once she began to lose interest in the parade itself. I realize that none of these are watermarked, but Flickr is being a pain at the moment, so I can't edit anything, and since the kids' faces are turned away in these shots, I figured I'd let it go. 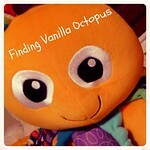 And, due to the late hour and technical difficulties that I'm experiencing, I think I'll call it a "post." We'll be hitting the road as early as possible tomorrow (which probably means somewhere in the vicinity of lunchtime). Here's hoping we have a safe and complication-free trip home.